« So, Who Won the War in Iraq? Iran. SUKKUR, Pakistan — US aid pouring into Pakistan’s flood-hit regions is helping reverse widespread anti-American sentiment but will not be enough to win hearts and minds in the long term, experts say. The United States has been the biggest and the quickest single international floods donor, committing 200 million dollars to help its ally in the fight against Islamist extremism recover from its worst-ever natural disaster. The United States currently has 22 helicopters rescuing stranded villagers and ferrying relief supplies around the country, with four more on the way, said embassy spokesman Richard Snelsire. The superpower has been involved in every area of the relief effort, spending its millions mostly through the United Nations, and international and local charity channels, to supply tonnes of food, water, shelter and medicine. Fifty million dollars has already been diverted from a 7.5-billion-dollar aid package approved by the US Congress last year in a bid to deepen ties with the South Asian nuclear power, a key partner in the fight against Taliban and Al-Qaeda-linked militants. Victims are grateful for the help but many Pakistanis think it ironic that while the United States is sending tonnes of aid, it is also sending drones to bomb Islamist militant hideouts in the border areas with Afghanistan. And the gratitude may be short-lived, just as it was after a swell of support from America following Pakistan’s 2005 earthquake that left 73,000 dead, said Pakistan analyst Rahimullah Yusufzai. “There will be goodwill created, it’s already happening for America and it also happened in October 2005 during the earthquake… but that was for a short while and this is again the fear that it may not last long,” said Yusufzai. 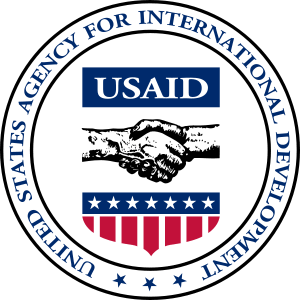 During a visit to Pakistan’s devastated submerged regions last week, head of aid agency USAID Rajiv Shah sought to assure officials that the United States would keep a commitment to help Pakistan in the long term. But touring the southern city of Sukkur, once a thriving semi-industrial trading post — now reduced to a city of tarpaulin tents providing thin respite from the heat for thousands of families, the scale of the challenge was clear. The floods have already forced the United States to rethink its spending in Pakistan, after announcing in July a series of water, energy and healthcare projects to improve the country’s dire infrastructure. The floodwaters have wiped out part of Pakistan’s most fertile agricultural land, damaged roads, bridges, power stations, electricity facilities, hospitals, schools, homes and left millions hungry, setting back longer-term development goals. Part of the five-year 7.5-billion-dollar non-military programme aimed at securing the strategic relationship between the United States and Pakistan has already been redirected as flood aid. “Priorities will necessarily have to shift so that there is more of a recovery and reconstruction approach than people were thinking just a few months ago,” Shah told reporters during his trip to Sukkur. But strategic relationships are no concern for the rural poor who have seen their homes and farms submerged by the waters, and simply welcome food, water and medicine for their short-term survival, regardless of where it comes from. “We just want aid. Most people don’t care who gives it to us,” said Jan Mohammad, 30, a teacher staying at a US-funded camp in southern Hyderabad with his wife and four children. This entry was posted on August 31, 2010 at 1:22 PM	and is filed under Pollution. Tagged: al qaeda, asia, Natural disaster, Pakistan, United Nations, United States, United States Agency for International Development. You can follow any responses to this entry through the RSS 2.0 feed. Both comments and pings are currently closed.